Finnish developer Frozenbyte is moving away from their puzzle-platformer wheelhouse (Trine) with their next co-op title, though there appears to be a little bit of a tie-in. 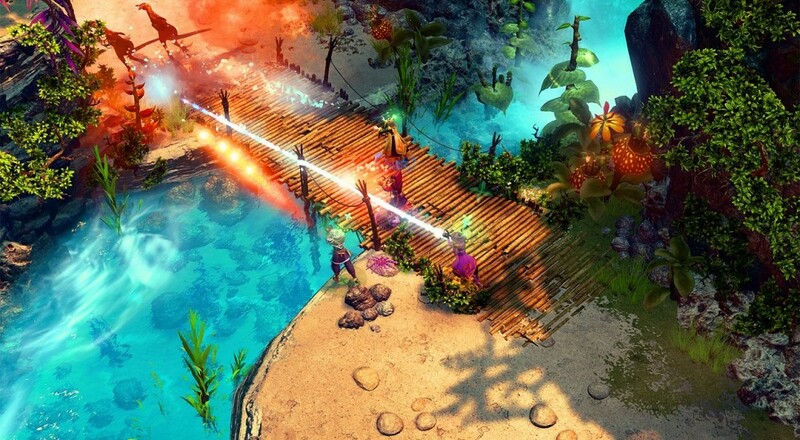 The Nine Parchments will follow four wizards of the Astral Academy who are attempting to circumvent the long process required to master titular scrolls in favor of a more direct approach. After viewing the announcement trailer, if you're reminded of a certain other game involving wizards and spells, well, you're not wrong. There are a lot of similarities between that title and this new one; even down to the elements that used to make the spells (Fire, Ice, Life, Death, and Electric). That being said, those games are really fun and I'm all for seeing different takes on it. Outside of the general premise and the trailer, the only other concrete info we have for now is that it will support four player co-op online or locally, and it should be coming out sometime next year on the PlayStation 4, Xbox One, and PC. Hopefully, some of the humor/charm and gorgeous scenery that were hallmarks of the Trine series will find their way into this one as well. Page created in 0.8069 seconds.